When the compressed air passes the feeding spray equipment and the smashed materials get into the smashing room, the smashing nozzles on the periphery of the smash room spray supersonic speed airflow so that the materials smash into each other and break into small pellets with the airflow’s high speed lashing. The coarser pellets will be separated from others in the grading tube and back to the smashing room, waiting for re-smashing. After the inter-sealed cycled smashing, the well-distributed super-tiny powder can be got at the material outlet. 1、 It is suitable for dry super-tiny technology. Thanks to the high speed of impact(more than 2.5 Mach),it is easy to get 1 to 10 micron pellets, or even, according to the nature of the material, the pellet less than 1 micron can also be got. 2、 Thanks to the inter-sealed grade mechanism in the pulverizer, the coarse pellets can be smashed instantly and constantly, which results in coming up with the well-distributed products with limited distribution of pellet diameter. 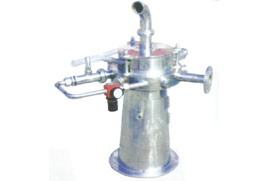 3、 The equipment has many advantages, such as short smashing time, simple structure, convenient operation and repair. Small volume, lownoise (72 decibels), no vibration,etc..
4、 It has a function of continuous smashing. It has a high efficiency when smashing, at the meantime, can keep the purity of the smashing products.